Eurowings, Lufthansa's long-haul budget carrier which was earlier scheduled to fly to Al Maktoum International Airpot at Dubai World Central (DWC), has opted to shift its operations to Dubai International Airport, a report said. Scheduled to launch flights to DWC in October, the airline said it will wait until December to launch flights to Dubai International Airport, Gulf News reported. According to the report, the group doesn’t want to split it operations between two airports, with Lufthansa and fellow Group carrier Swiss both flying to Dubai International Airport. 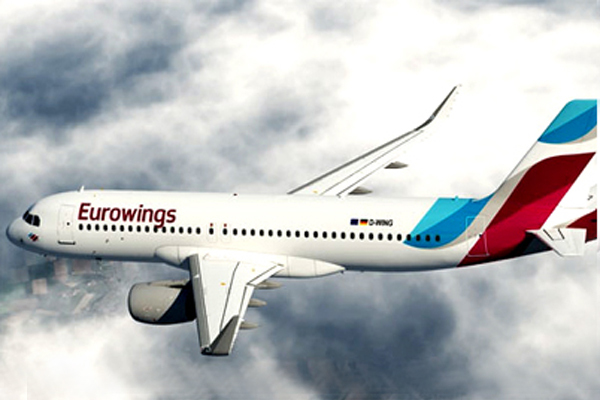 Eurowings is looking to grow in the Middle East, starting with three weekly flights to Dubai, and also revealing Muscat in Oman as one potential option. Lufthansa Group is also sizing up opportunities in Iran once sanctions on the country are lifted, which are expected as early as 2016, the report said.